C Logistics Solutions provide a reliable, tailored service for any kind of cargo whether by land, sea and air transportation all throughout all the various transport stages. At Normrock Industries. respect for the environment is what dictate all our actions. 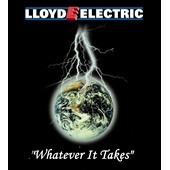 Our commitment, to meet industry demands and environmental challenges will always be our priority. AGRU is the world’s leading manufacturer of flat die extrusion geosynthetics, large diameter piping systems and concrete protective liners with production facilities in Austria, the U.S., Germany and China, and distribution in over 80 countries. Although we can't always predict the weather, with Disaster Durable Solutions™ by BASF, we can build (and retrofit) stronger and more storm-resistant homes, buildings and infrastructure with disaster mitigation in mind. F&S Solar is a Leading Company with over 15 years of experience in the development, construction, operation and maintenance of large scale solar parks. Momentum Decisive Solutions Canada Inc.
Nippon Koei es la Consultora Internacional Número 1 de Japón. Nuestros ingenieros brindan fuertes soluciones de ingeniería para la planificación, diseño y supervisión de proyectos de infraestructura en los campos de energía, transporte, desarrollo urbano, ambiente, agricultura y mucho más. Durante 70 años desde su fundación en 1946, ha trabajado en más de 5000 proyectos multidisciplinarios en 160 países de todo el mundo. Nippon Koei LAC fue creada en el año 2003 para fortalecer su servicio en la región de América Latina y el Caribe. Hasta la fecha, ha ejecutado más de 100 proyectos en 21 países de la región. The Volga-Dnepr Group is an international corporation consisting of three cargo airlines: Volga-Dnepr, AirBridgeCargo and Atran. Volga-Dnepr plays a crucial part in the recovery process of the regions after natural and technological disasters by taking active participation in the logistics of humanitarian missions worldwide carrying first aid goods and energy equipment in the affected regions. 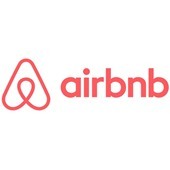 Airbnb’s Disaster Response & Relief program: during and directly after a disaster, temporary shelter and accommodation for those who are displaced and relief workers can be hard to find. In times of need, Airbnb can activate its community to aid government and non-governmental efforts to address this need. APR Energy is a global leader in providing fast-track, turnkey power generation solutions, and the world’s largest provider of mobile turbine power. Learn more at www.aprenergy.com. BCQS International delivers specialist property development and construction advisory services throughout the Caribbean and Latin America. 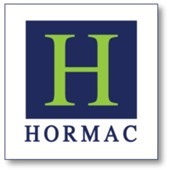 Their core services include construction project management and cost control, quantity surveying and property valuations and appraisals. Boskalis is a leading global dredging and offshore, maritime services provider. We offer a unique combination of experts, vessels and activities. We create new horizons for our stakeholders in the ports, offshore energy, maritime and inland infrastructure markets. The Consorcio Energético Punta Cana - Macao (CEPM) is a privately own utility company that generates, transmits, distributes and commercializes energy in the touristic areas of Punta Cana, Bávaro and Bayahíbe in the Dominican Republic, with an available capacity of more than 198.95 MW. We deliver energy solutions and reliable complementary services, supporting the sustainable development of our areas of influence. Through 612.8 kilometers of transmission lines of high, medium and low voltage, the company provides energy to more than 60% of the touristic sector nationwide –over 45,000 rooms- and more than 32,000 residential customers, becoming the main promoter of growth and development in the area for the last two decades. Cisco shipped its first product in 1986 and is now a multi-national corporation, with over 35,000 employees in more than 115 countries. Today, Cisco solutions are the networking foundations for service providers, small to medium business and enterprise customers which includes corporations, government agencies, utilities and educational institutions. We are a company focused on creating sustainable value by providing industry-leading products and solutions to satisfy the construction needs of our customers around the world. Our core business are cement, aggregates, and ready-mix concrete. Coleman Spohn Corporation with over 75 Yrs. And response to as many Natural Disasters around the world we have one of largest corporate network footprint which encompasses all 50 states along with Canada and the Caribbean region with over 6,500 pre-qualified subcontractors WMBE, 8A, SDVOB, Hub Zone and small to medium services companies which makes CSC one of the largest maintenance & restoration contracting organization in the U.S.
Canada’s leading firm in international development project management, with over 800 projects implemented in more than 80 countries. Proven experience designing and delivering results driven NRW, technology, RE and Transformation projects for Water Authorities. remote locations at very competitive prices. Dalberg Advisors is a global advisory firm with deep knowledge and networks across emerging and frontier markets. We work collaboratively across the public, private and philanthropic sectors to develop urban infrastructure and resilience strategies. 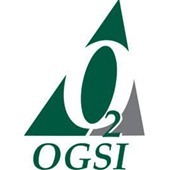 GECI Group is an engineering solutions provider with 30 years of experience. Our key divisions: CNS/ATM, Airports, Aircraft Maintenance, Avionics, Aviation Chemicals, Meteorology, Calibration, Energy, Electronics and Communication, Defense and Security, and Outsourcing for Manufacturing Industry. Hill International provides program, project and construction management, cost estimating, quality assurance, inspection, scheduling and risk management services in major construction projects worldwide. Hill brings a regional focus, supported by our internationally recognized industry experts. In its 35 years of professional life, we developed the construction, expansion and maintenance of systems such as irrigation networks, potable water supply, sanitary and rain sewer systems, sanitary and sewage treatment plants, storm sewer, drinking water networks, construction of schools and colleges, concrete paving and asphalt for roads and streets, irrigation channels and water retention dams, assembly and installation of PVC and welded steel pipes and more related activities. Taking advantage of the experienced executive, engineers, technicians, and administrative personnel who meet the highest standards of quality, environmental protection, and safety, contributing to the development of the people that is the most important resource in our field of action. LED Roadway Lighting Ltd. is a Canadian clean technology company that designs and manufactures energy efficient LED streetlights, adaptive street lighting controls and smart city sensor solutions. Leading North American charter airline, offering fleet of custom-configured next generation Boeing 737 aircraft for evacuation, humanitarian, disaster relief, and crisis recovery missions, globally. 25 years of operational excellence and reliability, trusted by government and private-sector leaders. MODEC International Inc builds, owns and operates offshore solutions for the oil, gas and power industry. The Floating Storage Regasification Power vessel brings CCGT power to any shoreline in the world. With projects in North and South America, oneGRID is committed to responsible development that respects local communities and minimizes environmental impact. oneGRID’s transmission projects provide an opportunity for system operators to tap into new sources of energy including hydroelectric, wind and other renewables. In doing so, it significantly improves grid reliability and stability, reduces electric congestion and reduces greenhouse gas emissions in the region. Pellerano & Herrera is the leading law firm in the Dominican Republic. They have maintained market leadership for over 30 years and participated in the largest and most important legal transactions in the Dominican Republic. Pura Energia, Inc. based in Puerto Rico provides engineering design, configuration, integration, and construction of renewable energy microgrid systems. 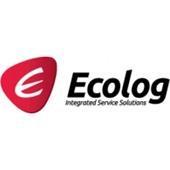 Our system integration capabilities provides customers the assurance of an efficient energy management system, providing effective management and control of the microgrid environment. Rolls-Royce is a leading supplier of integrated power systems. For the powergen market, we supply and service medium-speed gas and liquid fuel power plants, in addition to hybrid and energy storage solutions. Royal HaskoningDHV is an independent international engineering & consultancy firm, leading the way in sustainable development and innovation. Our fields of service are Maritime & Aviation, Transport & Building and Water, including the Rivers and Coasts Department. 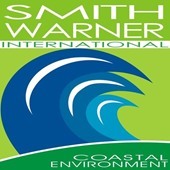 Smith Warner International: leaders in coastal development and management in the Caribbean, offering unparalleled expertise, experience, and innovative solutions. We merge science, engineering and nature to create and enhance the resilience of island coasts. Empresa de consultoría internacional apoyando a gobiernos, operadores, financieros, reguladores, desarrolladores como expertos comerciales, económicos, técnicos y de planificación proveyendo respuestas contundentes a preguntas complejas. Contamos con una red global de oficinas y con más de 400 consultores. TYPSA is a group of independent consulting engineering firms working as one in civil engineering, architecture, building technology, energy and the environment. Its inception in 1966 and is active on every continent with 2,500 professionals .